The Question, Tuesday 4/30/13: Will NBC's Grimm Post-Voice History Continue? The month-ago meltdown by Ready for Love means NBC is positively running on fumes as it approaches the end of the season. With no obvious option to put after its huge Tuesday The Voice lead-in, it had to go for a less than obvious one. And that less than obvious one was the strong-for-Friday drama Grimm, which gets yet another whirl at a weeknight timeslot as NBC sizes up the show's scheduling options for next season. Will NBC's Grimm post-Voice history continue? That's The Question for Tuesday, April 30, 2013. Season finale night on Fox went pretty well with Bones up a tick and The Following up three. Both shows hit their best numbers since The Voice returns. Bones was up from last year's finale, and particularly for The Following, these last two weeks were a positive finish for a show that had previously been deteriorating. Meanwhile, it was a soft Monday on CBS and NBC, which will probably welcome the diminished competition from Fox in future weeks. Hawaii Five-0 hit another new low point, Revolution dropped yet another two tenths after finals, and The Voice ended up down 12% even with a generous finals uptick. CBS at least saw a bit of a rally for the troubled 9:00 hour. The Question, Monday 4/29/13: Will The Following Finale Have a Follow-Up Spike? Last week's penultimate The Following generated a little much-needed ratings momentum for the previously fading series. The serialized drama is the kind of show that might spike on a finale night. But maybe that 2.4 was just a lucky point, since the momentum has been pointing in the other direction. Maybe it benefited from CBS comedies sitting out. They're back tonight, so an upper-2's showing is a big ask; it hasn't gone this high since The Voice returned. Will The Following finale have a follow-up spike? The question we all ask at some point about the big picture of TV ratings: how much of Live+SD ratings decline is due to network stupidity, and how much is bound to happen because of a changing environment? I like to call this "debate" Incompetence vs. Inevitability. Earlier in the season I looked at what I would call about as good an example as there is of Incompetence: the Tuesday night problem. There doesn't seem to be any real environmental reason why the networks should be so weak on Tuesday compared to other nights. It seems like the best answer is that the programming is simply not good enough. I've also looked at a what I consider a strong example of Inevitability: rerun programming. In a world filled with on-demand options, watching reruns on a linear schedule is much less appealing, and there's not really anything the networks can do about that. 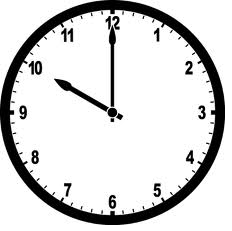 But today we're looking at a more complicated example: the 10:00 hour. As with Tuesday and reruns, there's been a significant depreciation of the ratings in this space in recent years. Not just comparing raw numbers across seasons, but comparing the relationship between 10:00 ratings and 8:00/9:00 ratings. Unlike with Tuesday, though, there are some pretty good reasons. Today we're going to discuss the Incompetence vs. Inevitability in the 10:00 depreciation. And while it may not truly be "solvable" as the headline promises, I will lay out a couple ways that I think the networks can handle the hour better. I've never really understood why the NFL Draft takes such a huge chunk out of broadcast ratings, but the trend has become undeniable. And as usual, it was NBC and the typically resilient CBS taking the hardest hits. Two and a Half Men looked absolutely brutal airing against the highest picks, while The Big Bang Theory, Person of Interest and Elementary also hung season lows. (TBBT adjusted way up to merely tie the low.) NBC, meanwhile, saw each of its shows drop multiple ticks. Hannibal has gone from encouraging to pretty much on death's door in two short weeks and will have to hope for a post-Draft upswing next week. It's hard to feel encouraged, since generally the 10/9c hour is hit the least by the Draft. It wasn't quite as bad on the other, more female-skewing networks, whose shows were generally near the low end rather than way below the low end. An exception of note was Scandal, the only week-to-week riser. 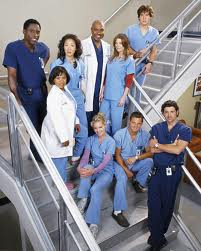 It built on Grey's Anatomy for the first time ever, and it held up after finals! And Glee took a big hit; it shouldn't have to worry about the Draft too much, but it was probably more damaged by the return of Grey's. The NFL Draft posted a 2.9 rating on ESPN (down 12% from last year's 3.3) and was even on the NFL Network with a 0.7. Like last year, I applied the combined rating (3.6) as cable competition on the True2 scores. This should probably be more skewed toward the beginning of the evening, since I'm pretty sure the rating is higher for the early picks, but I don't know what to do without having the hard numbers. I've gotten a little behind on these posts, so I'm just emptying the notebook with a few general observations that aren't really full column length and don't fit that well into all of the upfront previews going down soon. We have our first alarming point from ABC's How to Live, which took yet another tumble when mixed in with repeats in the other 2.5 ABC hours. I maintain that what it gets on the other side of the post-repeat run is more important than the actual post-repeat ratings. And Suburgatory posted a 1.5 after a repeat earlier in the season. It's far from over for this show, but there's definitely some concern now about next week. A few other dramas returned on the upswing after two weeks off: Arrow, Supernatural and Law and Order: SVU. I have thought SVU's ratings have been somewhat underrated since the beginning of 2013, and this was a good illustration of what it can do when it doesn't have to face hit shows on virtually every front. As projected earlier, Survivor did indeed post an outright season high, and it was actually by two tenths! This was a couple tenths above the year-ago evening, and a season that began at a very shaky -23% year-to-year has now closed that gap all the way to the -10% I predicted before the season. Can't not mention another milestone season finale for cable megahit Duck Dynasty (4.3), which should finish ahead of everything on broadcast this week except Monday's The Voice and (probably) The Big Bang Theory. There wasn't a lot of week-to-week excitement on the last Tuesday before sweeps, though The Voice will once again drop a few ticks week-to-week, suggesting last week was quite possibly this season's high point (until maybe the finale). CBS' mothership NCIS saw only a tiny rally from its surprisingly soft point last week. Of some concern was a second straight downtick from Hart of Dixie. While I would still put it ahead of the other CW bubble shows, it would do well to not make this its normal level in the weeks leading up to the upfront. Fellow bubbler Body of Proof went in the opposite direction, adjusting up in finals to tie a season high. With high-rated college basketball finally out of the way, The Voice got its turn atop the True Top 25. Not only is it crushing American Idol within each calendar week, but in week 30 it finally pulled ahead of the corresponding week of the Idol season. (In other words, its fourth Monday had a 5.2 vs. Idol's 4.6 fourth Wednesday.) Next stop is eclipsing the Idol season-to-date average over the same number of episodes; it'll take a few more weeks for that to happen, but it certainly appears to be coming. I'm rambling about singing competitions because most of broadcast's scripted heavy hitters were in repeats in the last fully non-sweeps week of the season. The top two scripted shows were actually repeats of The Big Bang Theory. How I Met Your Mother got a rare turn as the top scripted original, while one must go all the way down to #19 to find the top original drama episode, ABC's Once Upon a Time. Coverage of the Boston Marathon bombings made its presence felt on the list, and it probably would've been bigger if not for most of the Friday coverage not counting in finals. Friday's 20/20 and Rock Center joined NBC's post-Voice Monday special on the list. Saturday also got a nod thanks to Fox's UFC. ABC's Once Upon a Time returned from hiatus at yet another new low point, and it failed to adjust up to tie the low in finals. Then ABC trotted out another Hallmark Hall of Fame movie, Remember Sunday, which was down three tenths from the year-ago movie but up a couple notches from the 1.1 for the last HHOF in late January. While a 1.3 might seem like merely filler-type numbers, keep in mind we're now at a point where this is not really any different from the normal 9:00-11:00 dramas, which hit 1.5/1.0 when they last aired on March 31. CBS was also all original and stronger than usual at 7:00 with 60 Minutes, which almost certainly got a boost from Boston coverage. Everything else looked pretty normal. On cable, Game of Thrones (2.6) scored another series high, while Vikings (1.4) took its own upswing, further affirming this show's strong audience independent of its old The Bible lead-in. I asked on Twitter this weekend whether Smash and Vegas are the two biggest disappointments of the last two TV seasons. Either way, they were dealt another significant embarrassment as both aired in originals in the Saturday 8/7c hour and both lost to the surely muuuch less expensive ABC reality series Bet On Your Baby. Despite adjusting down in finals, it held onto its week one number. But Fox dominated yet another surprisingly original-heavy Saturday with the return of UFC, which was a few ticks below the 2.1 posted in the December and January telecasts. The conclusion of the Boston bomber manhunt heated up right before the beginning of primetime, so all of the big four networks stayed with the coverage throughout prime and pre-empted all entertainment programming. I'm not 100% sure we'll see complete finals due to the lack of ads through most of this, but the prelims lined up in typical news division fashion: NBC (2.4), then ABC (1.8), then CBS (1.4), then Fox (1.1). If we do get complete finals, I'd expect these will all adjust up (once low-rated repeats on the West Coast are stripped out), and I'll post half-hour info next week. Word of the suspect in custody came right around 9:00 Eastern, so it'd be neat to see the extent to which viewers hung on over the last two hours. UPDATE: Unfortunately, the special news coverage was counted as sustaining, so finals weren't released. Rather than getting a big boost to usual Friday numbers, the nets will have to settle for not having Friday numbers counted (which is also a good thing). The 10/9c hour did get counted on ABC and NBC, included under the banners of the usual newsmagazines. It's a series high for Rock Center, excluding a debate last season which I personally didn't count as an actual Rock Center episode. This coverage, while also irregular, much more resembled a typical episode of the program. NBC dominated yet another Monday, but The Voice came down a few notches from its week-ago peak and Revolution dropped to another new low after finals. While Revolution still looks pretty good for another season, its hopes as an anchor on another night have really diminished since its return from hiatus. Fox had a bit of a sigh of relief as fading The Following perked back up in a noticeable way in its penultimate week, hitting its best number in five weeks. It now looks like there's at least a chance it can get back into the upper half of the 2's on finale night. It may have helped that CBS was in all repeats on the last pre-sweeps Monday. Since this has been a very slow week in entertainment TV land, I've been doing some old data housekeeping on War of 18-49 posts. I've created new SpotVault pages for a select handful of ended shows (see the "Results" column in the first table on each of those pages), and all the "ended" pages in the War of 18-49 have now been updated with the current table format. And there's been one other addition, as one intrepid commenter has already noticed: the "CAREER" number newly included at the bottom of the A18-49+ column on the ended pages. What does this number mean??? NBC's Hannibal had a disappointing week three, dropping a significant three tenths from its fairly good week two number. With the return of original competition looming next week, a good deal of its cushion is gone. But the rest of the NBC evening was more reasonable as Community ticked up again and Parks and Recreation (1.7 at 9:00 and 9:30) was above average in a special one-hour airing. CBS' week of repeat experimentation continued with a two-hour comedy tryout, and The Big Bang Theory and 2 Broke Girls combined to equal the last original Person of Interest rating in this hour two weeks ago. It's not so much a win for "scheduling comedy here" as it is for "scheduling The Big Bang Theory in every timeslot, TBS style." Since they can't do that, ultimately the comedy scheduling is probably going to be much more about the new comedies than about these results. NBC's Hannibal kicked off its run with 4.36 million viewers and a 1.6 demo in the network's hallowed Thursday 10/9c slot. Usually a 1.6 is total DOAsville, but... 1) it faced competition from potent 10/9c options Elementary and Scandal; 2) it had a horrible lead-in in a 1.1 from Go On; and 3) it's in what has become known as the "cursed" NBC Thursday 10/9c slot. So this was a much better showing than your average 1.6, and it couldn't yet be ruled out. With CBS, NBC and the CW mostly in repeats, most of the excitement was in ABC second-tier sitcom land. It started with the one-hour season finale of Suburgatory which was weaker in the lead-off role and without The Middle around, but not to a particularly surprising degree. And week three of newbie How to Live took a 20% dip in its first airing without an original Modern Family lead-in, but it tied the Modern repeat and got about the same numbers as late-season Suburgs was posting after originals. (It also tied the year-ago week three of Apartment 23, which led out of a 2.2 Modern repeat.) So this still looks pretty solid for now. The Modern Family lead-in helped produce yet another strong series premiere number, this time for sitcom How to Live With Your Parents (For the Rest of Your Life). The show's 2.9 premiere with a 4.2 Modern Family lead-in exactly mirrored what Apartment 23 did on premiere night a year ago. Exactly mirroring something that went on to get renewed a year ago is a good thing. NBC's Ready for Love was down three ticks from its already disastrous premiere last week, and its preliminary half hours were 1.8 -> 1.2 -> 1.2 -> 1.0. That means its ratings now pretty much mirror those of duds Go On, The New Normal and Smash in their spring post-Voice berths. NBC should not waste the nearly two remaining months of The Voice on this show any longer. But there aren't any abundantly obvious alternatives, so this will be interesting to watch. It was a slow day elsewhere, though of note on CBS was the network flipping the repeats of NCIS: Los Angeles and NCIS. These numbers should help to illustrate that the disparity in these shows' actual strengths is larger than it might normally appear when NCIS is in the tougher slot. And the mothership at 9/8c meant a lead-in not that much worse than usual for Golden Boy. The last college basketball game of the season dominated the True Top 25, and ascendant The Voice had a sizable lead over the rest of the entertainment programming field. With usual entertainment leader The Big Bang Theory in repeats, Modern Family nabbed top scripted honors. The Following and a relatively promising second week of How to Live represented the new shows. Friday couldn't crack the list this time with usual contenders Shark Tank and Grimm sitting out, but Saturday picked up the slack thanks to a NASCAR race. The full contingent of Fox cartoons was back in originals and particularly soft early in the evening with The Cleveland Show, The Simpsons and Bob's Burgers all at or near their low points. Celebrity Apprentice went back into two-hour mode on a noticeably positive note. It's always a noteworthy Saturday when there's something original on every network. ABC premiered new reality effort Bet On Your Baby to rather unimpressive results; almost all of their Saturday movie telecasts this season have done better. But... at least the 8:00 hour held off Smash, which ticked down in its stealthy move to 8:00. Dominating this surprisingly busy night was Fox's NASCAR, which posted its strongest result in three primetime races this season. But it was down from the 2.0 for the year-ago race. Happy Endings continued its peculiar Friday roller coaster ride as the show dropped three tenths week-to-week at 8:00 and at 8:30. This is about where the show appeared to be headed after the premiere two weeks ago, and everything on ABC seemed really high last week, so it seems most likely that last Friday was an anomaly and sub-1 is where the show is "supposed" to be. Though several Friday heavy hitters sat out, the all-original CBS lineup couldn't take advantage; Undercover Boss, Vegas and Blue Bloods were all on the double-digit downswing. In the fall, The Voice on its main night actually peaked in the battle rounds, and we may be headed that way again: the first battle week hit another season high. And NBC got much better-than-usual 10/9c numbers with an NBC News special covering the explosions in Boston going 36% ahead of recent Revolution results. CBS Monday was back in originals in totally disastrous fashion, with 2 Broke Girls taking its second enormous drop in the last three episodes. This show was in the mid-to-upper 3's in February! How I Met Your Mother, Mike and Molly and Hawaii Five-0 were also very low, and Fox was on the low end with Bones and The Following. And the CW brought back summer filler Oh Sit! at about the same level it maintained during its first season, while 90210 returned from more than a month off to begin its march to the finish line. On cable, Syfy's two hour premiere of Defiance (1.0) got off to a very good start by the beaten-down standards of Syfy's recent scripted programming. Considering their top scripted shows Being Human and Warehouse 13 have been mired in the 0.4 to 0.6 range of late, this show could be a big deal for them. Welcome to the final of three season recaps which will help to introduce three old seasons of 18-49 data to the A18-49+ archive. Here are the recaps of 2003-04 and 2004-05, and please refer to the intro to these recaps for some disclaimers about the new numbers. Several original programs were able to take advantage of repeats on ABC, CBS and the CW. Most important was week two of Hannibal (1.6), a rare new show to break even in week two. And Community (1.2) began the NBC evening with a multi-tick upswing. Fox was also up in both hours with American Idol (3.1) and another strong hiatus return from Glee (2.4). The Question, Thursday 4/11/13: Will Hannibal Eat Up the Repeat Competition? We're not yet at a point where a 1.6 demo premiere is worthy of genuine praise on a broadcast network, but on NBC we're at a point where a 1.6 demo premiere (especially with a 1.1 lead-in) at least makes week two interesting. And tonight's week two of Hannibal has the added benefit of generally positive reception and competing Scandal and Elementary going into repeats. It will probably drop a bit, just because almost everything does, but I don't see any reason why it should be a large drop tonight. Week two of ABC's How to Live held up in fairly typical week two fashion, down a preliminary 14%. Even if it goes down in finals, it remained well ahead of the recent Suburgatory pace in the slot. Considering Modern Family was also down a few ticks, this is not bad at all. But now it gets two weeks with a repeat lead-in. Most of the excitement elsehwere was in the 10:00 hour, where CSI was up a few ticks, Nashville ticked up despite the slightly negative momentum earlier in the ABC evening, and a pilot encore of Hannibal ended up slightly ahead of its SVU repeat lead-in after finals. The Question, Wednesday 4/10/13: Will ABC Keep Living it Up? Last week the potency of the Modern Family lead-in on premiere night was once again affirmed, as How to Live pulled off one of the strongest series debuts of the season (2.9). Last year's post-Modern April premiere Apartment 23 held up quite well in week two (2.9 -> 2.6), but I far preferred the Apt 23 pilot, and Modern Family might be due to drop a bit from its strong number last week. So I'll set this over/under at a relatively standard -16% week two. How to Live Over/Under: 2.45. NBC's new reality series Ready for Love got off to a very disappointing start. For this week, at least, it did improve the timeslot vs. the last two weeks of weak post-Voice occupants (Go On, The New Normal and Smash), but only by a paltry three ticks or so in each half-hour. The all-important half-hour breakdowns were an ugly 2.1 -> 1.6 -> 1.3 -> 1.2 in prelims, and of course the 1.5 number will be of significance to Hannibal fans, whose show premiered better than that number with a 3.5-point weaker lead-in. Usually I am relatively gunshy in these matters, but if there's no trainwreck appeal out of the gate, there's really no reason to give this show much more time here. Score one for the human race, I guess? The other networks were almost all original, but there wasn't a lot of week-to-week excitement outside of an oddly stinky showing from the NCIS mothership and another crash from Splash. CBS rounded out a few very strong days in the sports & specials realm with the NCAA Men's Basketball Championship between Louisville and Michigan. It ended up at an 8.4 demo, up a solid 11% year-to-year and the highest rating for the final game since 2005. Despite the added competition, the competing entertainment programs held up surprisingly well. The Voice cracked a Five-0 for the first time in the 2012-13 season while dramas Revolution and The Following were steady, even though the latter had the added whammy of a Bones repeat leading in. A Saturday basketball game topped the True Top 25 for the second straight week, and this time the game was also a solid #1 in raw numbers. Leading sitcoms The Big Bang Theory, Modern Family and Two and a Half Men all had significant week-to-week upticks, and in Men's case this was considered the show's most impressive performance of the season. The premiere of How to Live joined usual newbie list-makers The Following and Elementary. It was a huge week for Friday programming as Shark Tank made it back into the raw numbers top 25 and Undercover Boss easily made the True2 list. Those two shows along with Grimm (26th in True2), 20/20 (27th) and Blue Bloods (33rd) all had season highs in this metric, posting better-than-usual results against the late season viewing levels. CBS dominated Sunday with a year-to-year explosion from the Academy of Country Music Awards, up a whooping 39% from last year's 3.1. The CBS release said it was the show's largest audience since 1998 and largest demo delivery since 2001. Not really sure why that happened, but the near-complete lack of broadcast resistance was probably a bit of a factor; only The Cleveland Show and the last one-hour Celebrity Apprentice were new. Mad Men was back on AMC, but for the first time it did not set new series highs on premiere night, averaging 3.37 million viewers and a 1.1 A18-49 demo. Those were both down just a bit from the season five premiere (3.535m, 1.2). Week two of HBO's Game of Thrones (4.27m, 2.3) also had series-second-best deliveries and was the top scripted program of the night on broadcast or cable, but it was down a tick from last week's against-The Walking Dead premiere. And History's Vikings (3.31m, 1.2) held up rather swimmingly in the demo in its first week without a huge The Bible lead-in. While it shed nearly a third of its viewership, it was down just a tick week-to-week in 18-49, supporting my premiere night observation that the two shows appeared to skew very differently. CBS' coverage of the NCAA men's basketball Final Four posted the highest ratings of the week. The primetime game between Michigan and Syracuse was 4% above the year-ago Final Four game, while the half-hour of overrun from the early evening contest was down 5%. Smash in its Saturday premiere went down by nearly half from the last Tuesday episode and was outrated by the surrounding NBC programs. Amusingly, its 0.9 lead-in from the second half-hour of a The Voice repeat was better than what it got from The New Normal a couple times on Tuesday. Sounds like the show is getting bumped back an hour in future weeks. It was post-Easter rally time on ABC, where Happy Endings saw a surprisingly substantial rally from its painful 0.9/0.7 week-ago debut. I don't think that's enough to put its ratings in the renewal-worthy column; it's of course still well behind what Last Man Standing was doing at the end of the year. But it's enough to at least make the next few weeks worth keeping an eye on. Friday king Shark Tank also had a noticeable upswing, tying its second-highest number of the season, and 20/20 (1.8) was also way above average in tying a season high. So... this all went almost suspiciously well, and it held up after finals. CBS had no such luck with the Friday debut of Vegas, which came back 40% below its Tuesday low point, well behind the usual CSI: NY numbers, and it couldn't even get to the 1.0 pulled by the Golden Boy tryout a few weeks ago. It was especially bad considering its lead-in Undercover Boss actually had a pretty good week. The Question, Tuesday 4/9/13: Is NBC Ready for a True Post-Voice Success? Tonight NBC gets into the dating show game with Ready for Love, whose two-hour episodes will have the benefit of leading out of The Voice's results shows. Many a strange reality show has premiered shockingly well on the generally uncompetitive Tuesday night this season, from The Taste to Celebrity Wife Swap to Splash. This isn't ABC, where those other shows premiered, and I can't say I'm interested, but considering it'll have a mid-to-upper-4's lead-in, it should have a shot to get out of the gate. The Question, Sunday 4/7/13: Does the Sunday Cable Madness Continue? For most of its run, AMC's multiple Emmy winner Mad Men was "The Most-Heralded Show to Never Achieve a 1.0 Adults 18-49 Rating." It finally shook off that distinction in last year's premiere and held onto a 1.0 for a few weeks post-premiere. Down the stretch, it dipped back well below the number, but the "streaming effect" promises to help Mad Men add some more fans and hang another good two-hour premiere number. Does the Sunday cable Madness continue? That's The Question for Sunday, April 7, 2013. The Question, Saturday 4/6/13: Is Saturday Night All Right For Smashing? Happy Smash-urday, everyone! Tonight the sophomore NBC drama Smash moves into its final resting place. Have to hand it to them, I wasn't sure they could publicly admit the failure of what was once labeled an "unqualified success" and move it into true burn-off territory. But perhaps we are now evolved enough that leaving it on Tuesday was actually the greater embarrassment. Still, NBC will have to endure one week of "Wow, look at how awful these Saturday ratings are!" before everyone pretty much forgets about it. Is Saturday night all right for Smashing? That's The Question for Saturday, April 6, 2013. The Question, Friday 4/5/13: Will the Vegas Friday Long Shot Pay Off? Tonight, CBS sends its fall/winter Tuesday 10/9c occupant Vegas into the Friday mix. Perhaps the even worse news for the show over its month and a half off the air was CBS' slew of renewals last week, including for seeming bubblers like The Mentalist and The Good Wife. There are basically no slots left on the roster for returning shows now. Vegas needed a miracle before, but now it needs an even bigger one. Will the Vegas Friday long shot pay off? That's The Question for Tuesday, April 5, 2013. NBC's latest Thursday 10/9c effort Hannibal didn't do well by any standard other than the NBC Thursday 10/9c standard. By that standard, though, it might be workable. At least it's no Do No Harm (0.9 on 1/31/13). The other good news is that fierce drama competitors Elementary and Scandal go into repeats the next two weeks. That's really all there is to say for now; stay tuned. Well, one more thing: it received absolutely no help from the NBC comedy lineup, with The Office at a series low and a two-week tryout for Go On at 9:30 beginning at about its late-winter Tuesday level. Fox also tried new comedies on the night with New Girl and The Mindy Project getting the post-American Idol berth and, like last week's Raising Hope, going near the low end of their normal numbers. All it really did was just make the shows considerably older-skewing. The "special post-Idol tryout" may be nearing extinction. ABC and CBS also went original and had a lot of lower-end results but nothing terribly unusual, though the CBS comedies got adjusted up in finals to post more significant week-to-week growth. Welcome to the second of three season recaps which will help to introduce three old seasons of 18-49 data to the A18-49+ archive. Here's last week's 2003-04 recap, and please refer to the intro to these recaps for some disclaimers about the new numbers. The Question, Thursday 4/4/13: Can Hannibal Carve Out a Niche at 10:00? For new shows scheduled in questionable pairings or against particularly tough competition, it's mostly been a season of self-fulfilling prophecy. They've pretty much all flopped hard. NBC's Hannibal has both; it premieres out of ratings-challenged comedy Go On, and it's got the toughest combined drama competition from ABC and CBS in the hour (with both shows original tonight). We all hoped it would get moved, but alas, here we are. Can Hannibal carve out a niche at 10:00? That's The Question for Thursday, April 4, 2013.